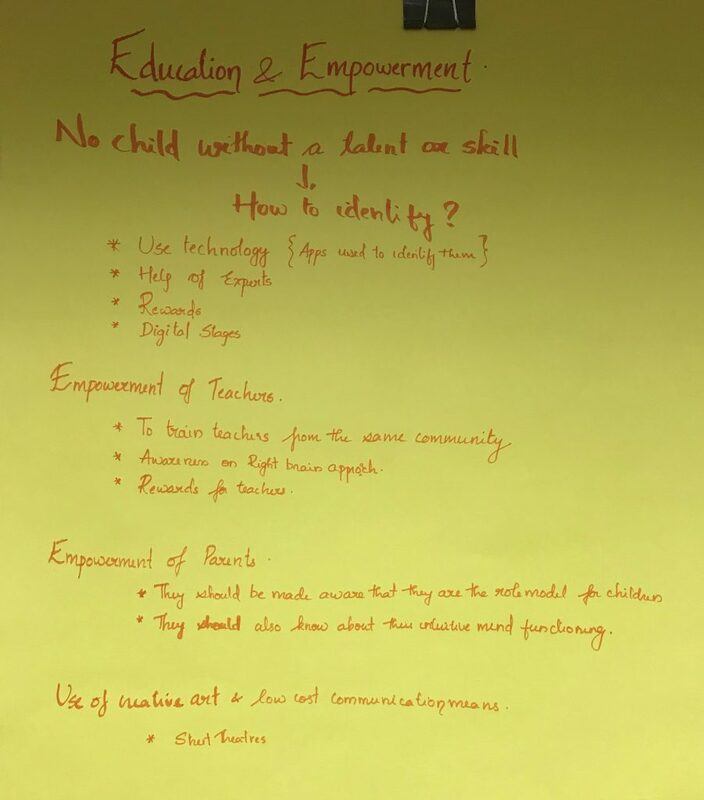 Two workshops were run at Amrita Vishwa Vidyapeetham in Coimbatore during May 2018. 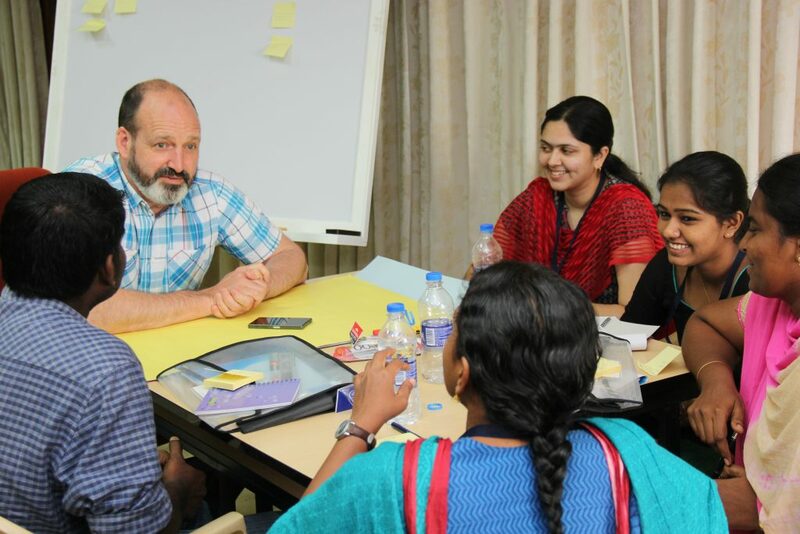 The first workshop was a two-day interactive ‘design thinking’ workshop for 30 participants. 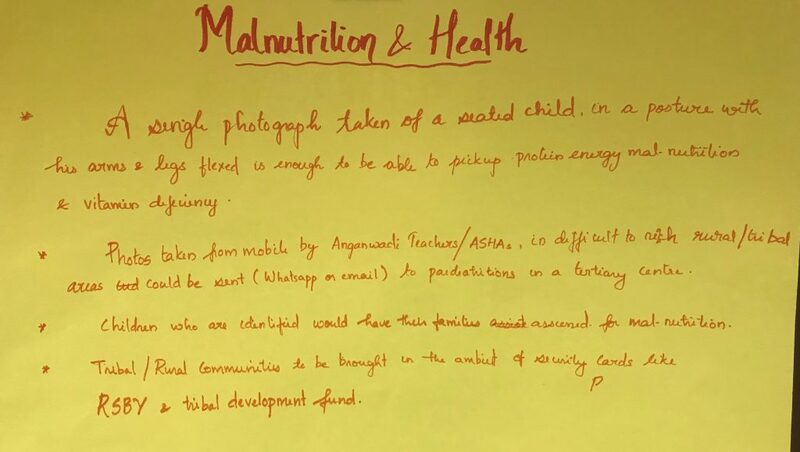 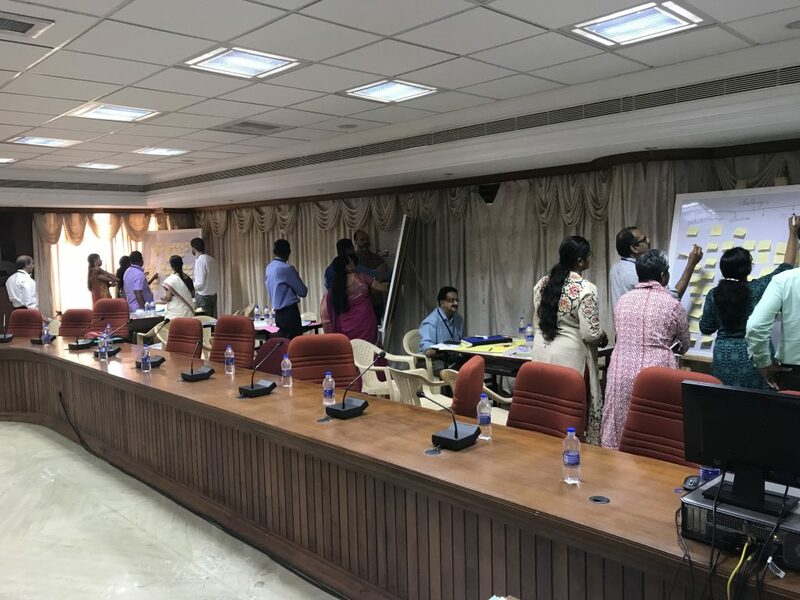 The focus of the workshop was to train staff and students at Amrita Vishwa Vidyapeetham, and healthcare workers from Amrita SeRVe, in how to use ‘design thinking’ methods and techniques for idea generation and exploration. 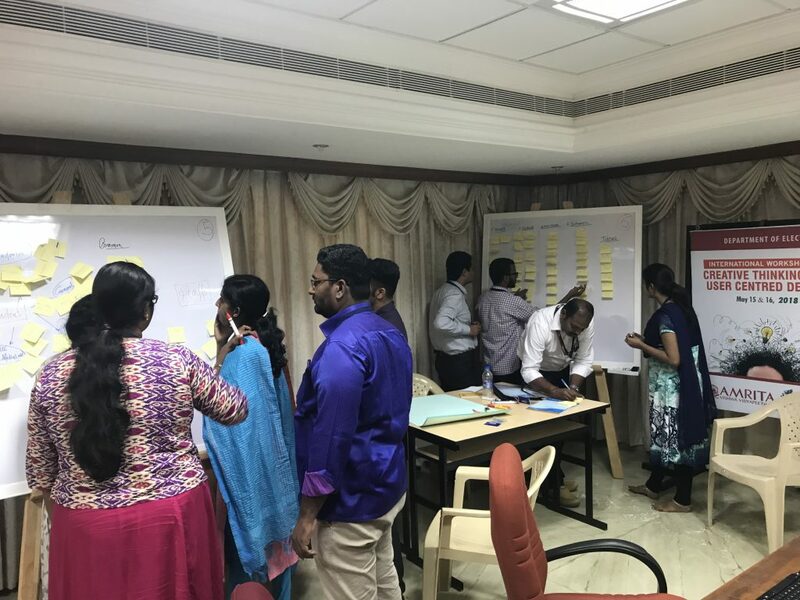 The workshop covered methodologies for user insight such as rapid ethnography, including techniques in observation, participation and semi-structured interviews; methodologies for idea generation including participatory design and brainstorming techniques; and methodologies, techniques and tools for fast prototyping and user testing. 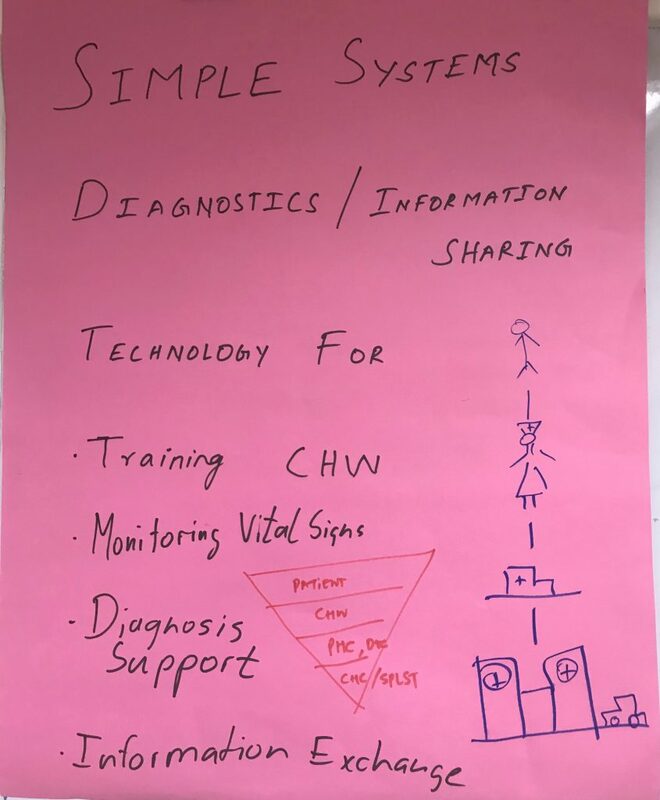 Participants also practiced these methods and techniques during the workshop by applying them to a healthcare challenge. 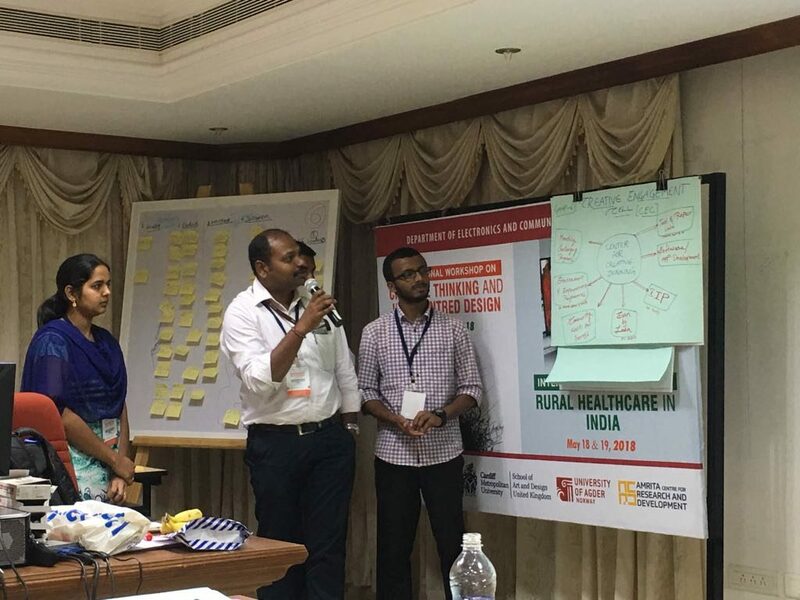 The second workshop was a two-day interactive ‘idea generation’ workshop for 30 participants to highlight key challenges and opportunities with regards to healthcare support in rural India; to generate ideas for possible new solutions; and to evaluate their potential benefits as well as their feasibility and viability. 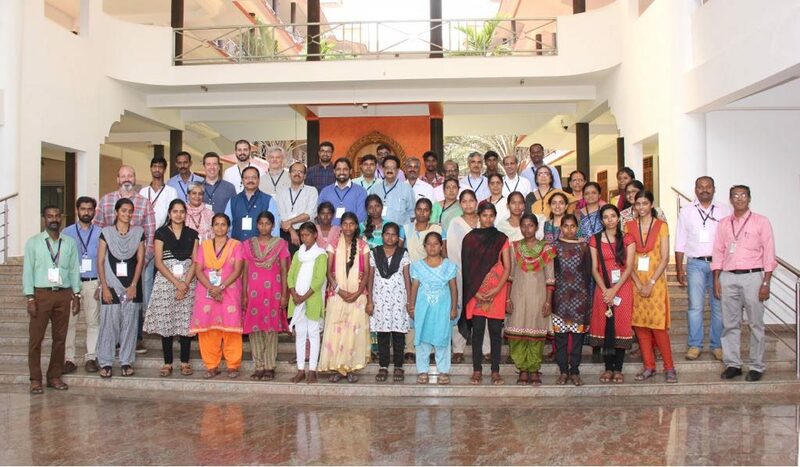 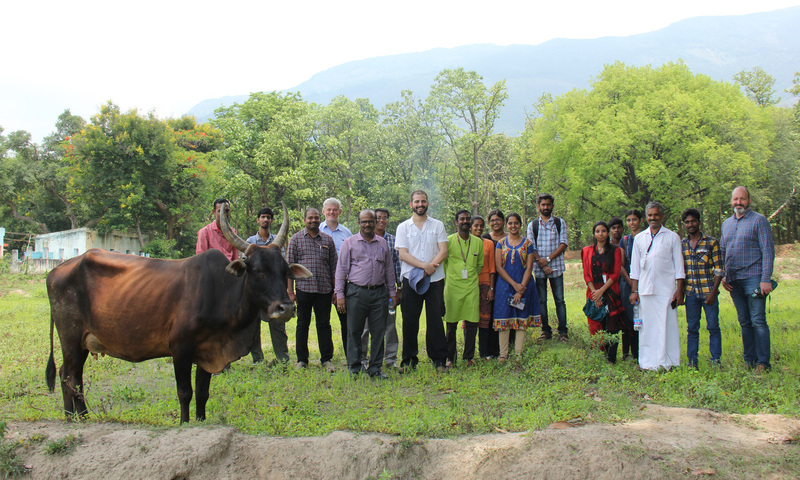 Participants at the two-day workshop included doctors; researchers at Amrita Vishwa Vidyapeetham; representatives from leading technology companies in India who are developing healthcare solutions; staff from Amrita SeRVe; government advisors; and representatives from Cardiff Metropolitan University and the University of Agder. 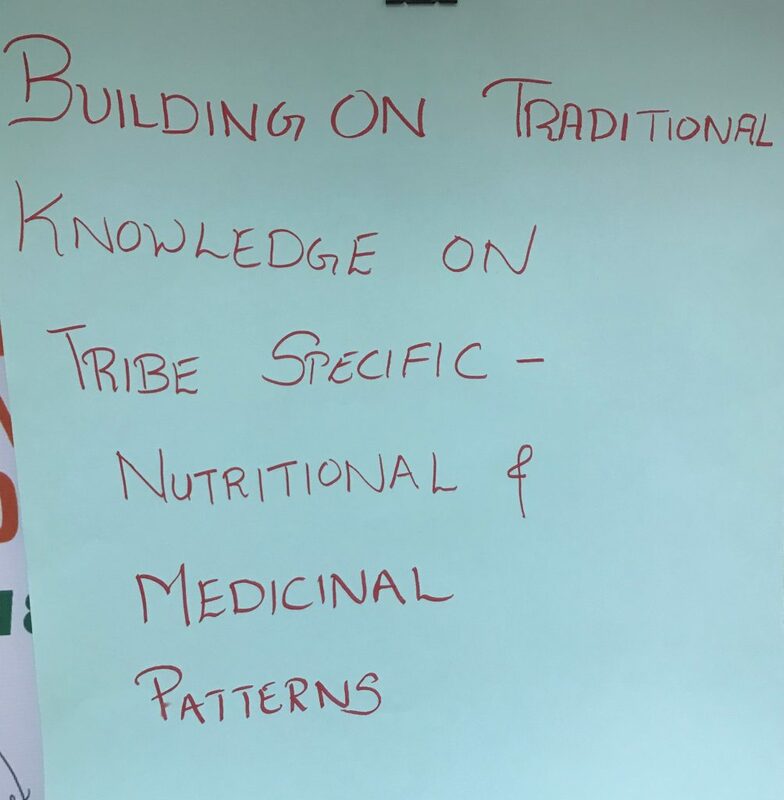 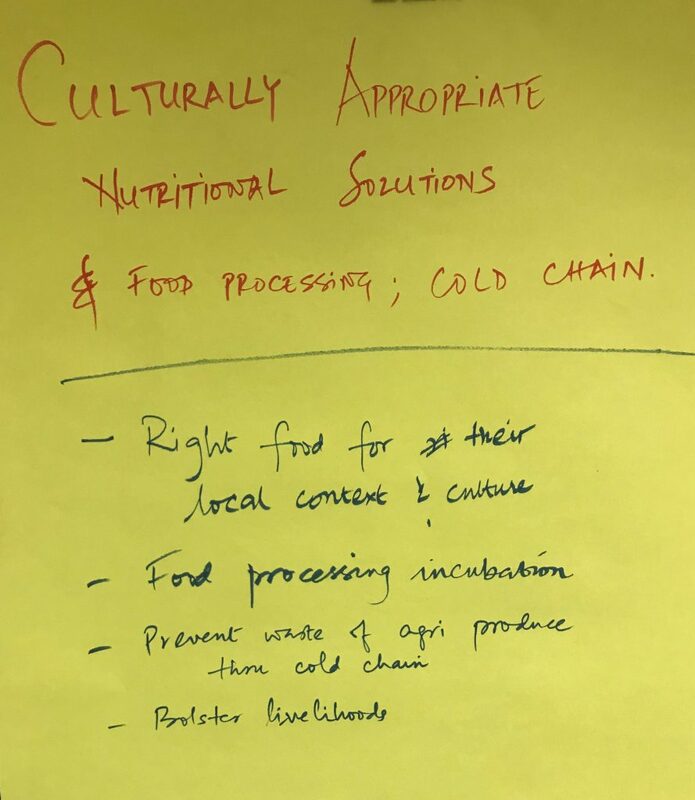 Examples of some of the ideas generated by the different groups during the second workshop are shown below.